A lovely lady I met in my local Holland & Barratt store a while ago. Sarah is starting her own weight-loss and health journey like I did this time last year. Sarah, you asked me last night for recipes, here is one I make often, and for all my other readers who want a comforting, yummy, high protein meal. We had this last night and it's gorgeous! 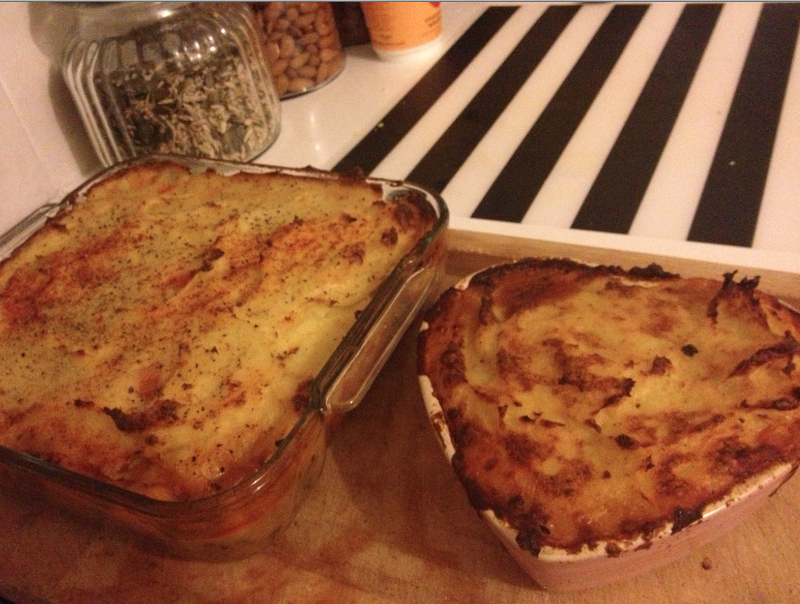 So, I make this this Vegan Sheppards pie alot. 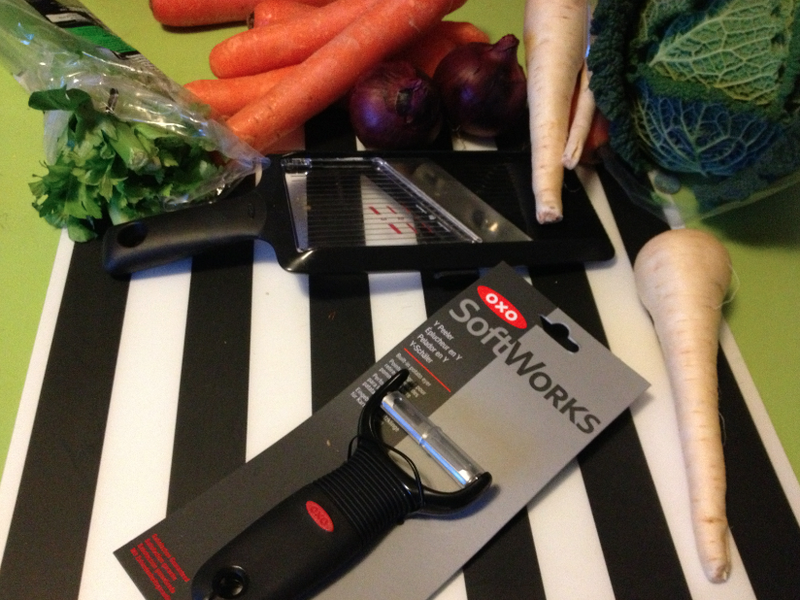 It takes about 15 minutes to prepare if you have the right tools, as you all know I love my Oxo Good Grips tools, and yesterday while shopping in Morrisons I spotted that the Oxo Y shaped (or 'speed peelers' as I call them), were on offer. My old Ikea one was false economy . 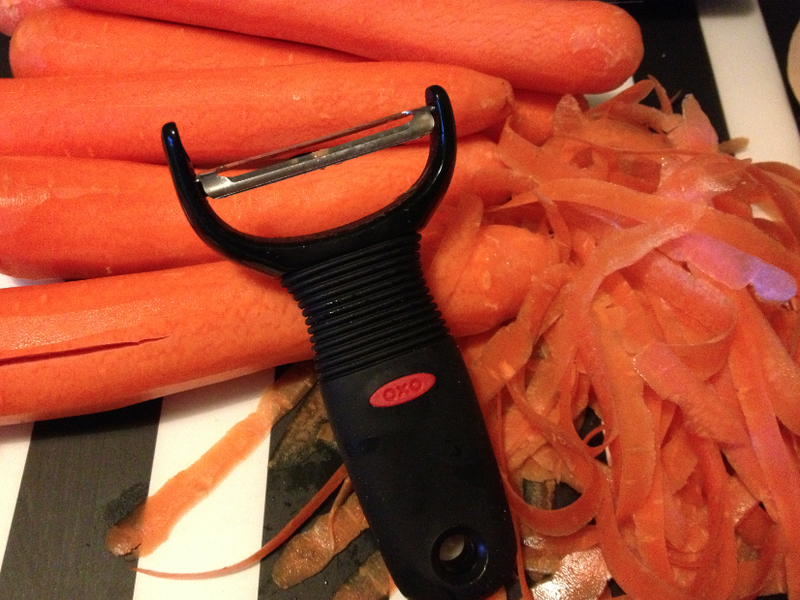 I kept having to rebuy them, and then I remembered when I was 17 I bought a Oxo peeler, (feeling very grown up! ) but I think I lost it during a house move 4 years later. Anyway- so yes! On to the recipe! You will need a large cooking dish if theres a few of you, otherwise either half the ingredients or freeze half in a freezer proof dish for a day you don't feel like cooking! I actually made extra a few weeks ago and froze 4 portions. Ingredients : I shopped at Ocado for all of these, remember my weekly food shop post? As I find they have the biggest range of fresh fruit and vegetables, vegan produce, and affordable organics. 10 table spoons Marigold Endegvita Nutritional yeast, to add a 'cheesy' flavour, and the important b12! Salt & Pepper to taste - i personally use LOADS of pepper! 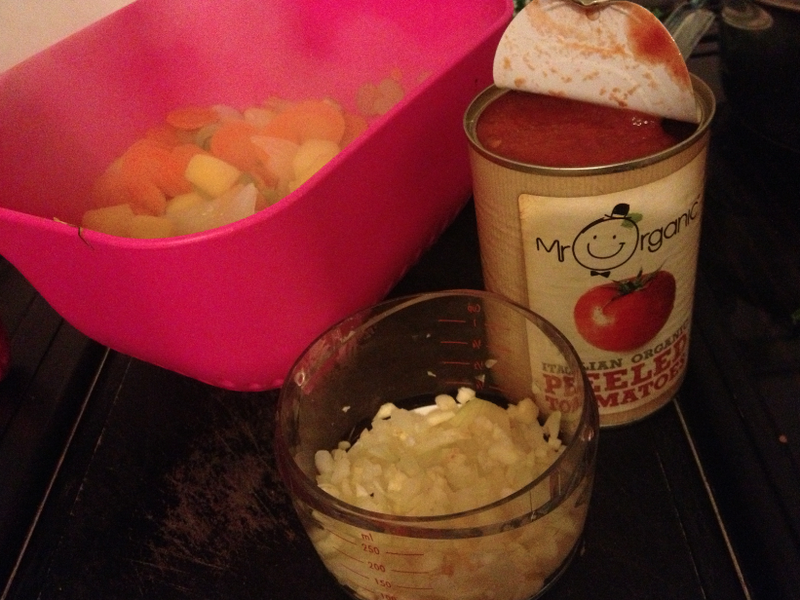 1 tin chopped tomatoes - I love the Mr Organic brand. 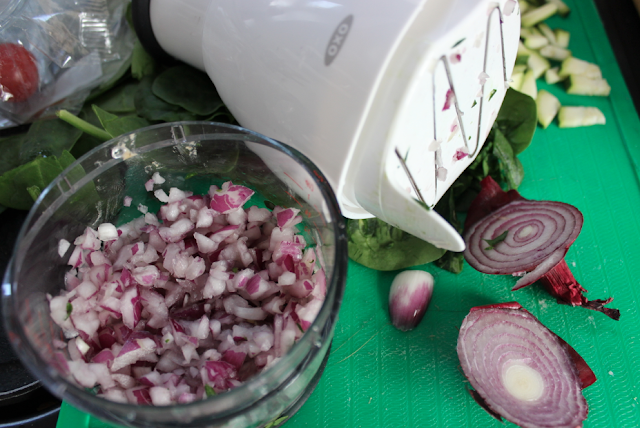 Chop the peeled Onion and Garlic very small, I used the Oxo chopper, you simply add the ingredients to the clear jar, add the white 'chopper' part at the top, and press it up and down. DONE! 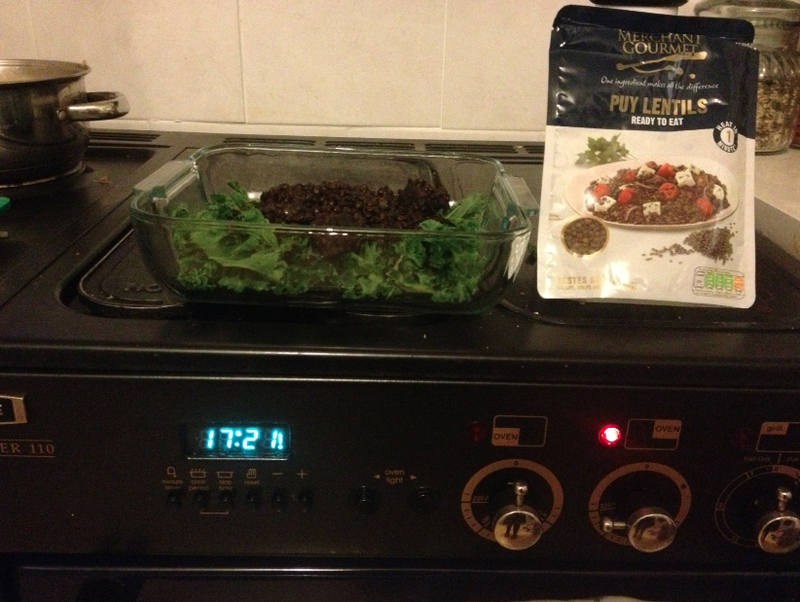 Place the chopped onions and garlic in the bottom of your dish, add the kale or cabbage (- I personally don't precook these as they cook themselves ok in the dish, but if you like it softer, you might like to steam them for a few minutes first, ) then add the Puy lentils. 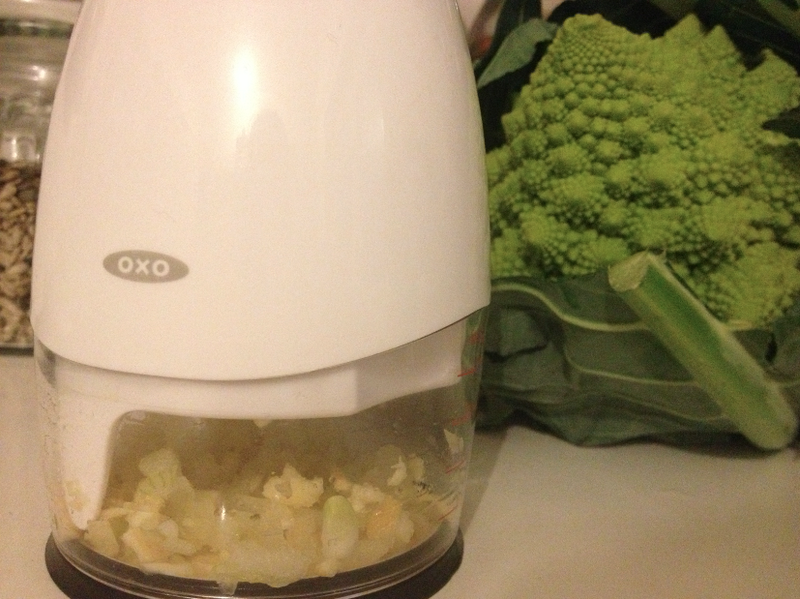 Quickly peel the veggies, and put them onto steam. 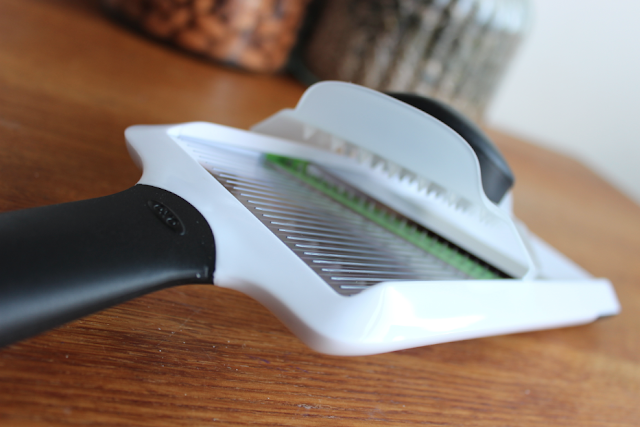 Any fans of the Oxo 'speed peeler' ?! Also, peel & cook the potatoes. Add the chopped tomatoes to the lentils in the cooking dish, then add the remaining vegetables. Season the vegetables with the tabasco (6 drops should be enough ) , sprinkle the paprika and add salt and pepper to taste, add the oregano and rosemary sprigs. 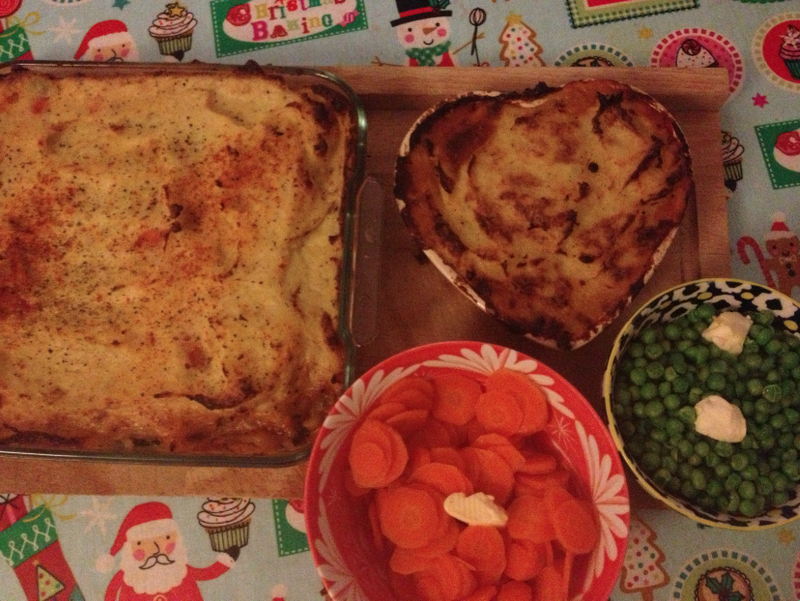 Add the vegetable mash to the top of the pie, sprinkle with paprika and pepper. Bake in the oven for around 45mins on 220'c until the mash is firm and golden. Enjoy!!!! What are your favorite meals that are easy and quick to prepare. 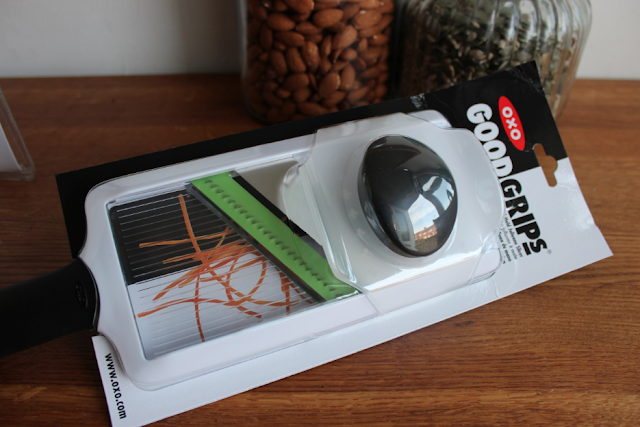 Disclaimer: I love Oxo Good Grips range, and like to promote products that help people. I have not been paid to write this, all options are my own. I was supplied the Chopper, and the other items were purchased by myself and family. So, you know last week, when I posted the photos of my Ocado ten day shop? Well... I thought I'd share with you some of the things I've been upto in the kitchen. I've also teamed up with one of my favorite kitchenware brands to also show you how to prepare them super quick! Oxo make the best gadgets for preparing things from scratch, they understand what people need when trying to create interesting, delicious meals in minutes. 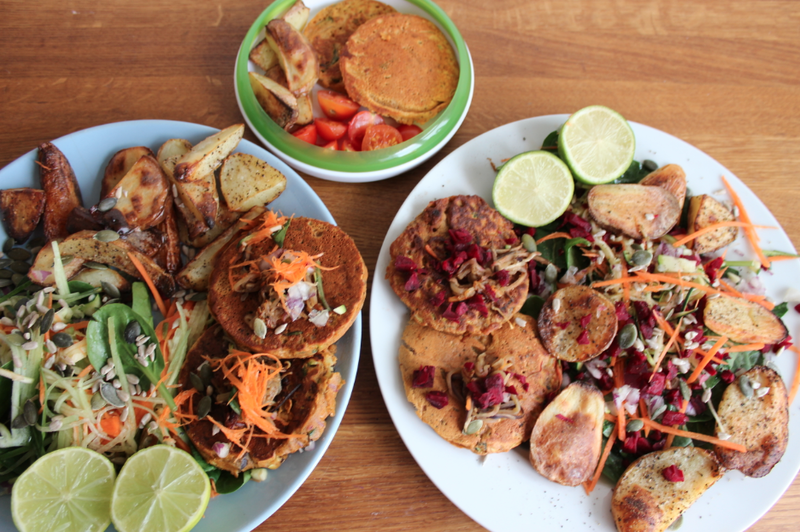 Coconut & Berrie's blog wrote a savory gram flour pancakes recipe, which I fell in love with but the boys found them too bland- they like everything super spicey and herby, so I modified them several times until I got them just how they now like them. Savoury Italian Pancakes, with potato wedges and salad. 1 cup of gram/ chickpea/ garbanzo bean flour. I used approx 1/3 of the chopped veggies in the pancake mix, and saved the rest for the salad. 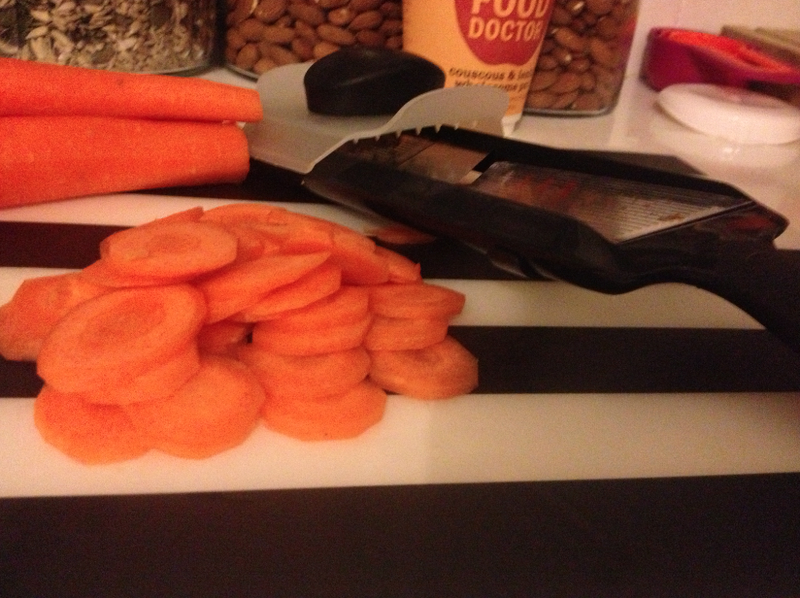 You add the vegetables to the container part at the bottom of the chopper, and then simply press the top up and down, the blades do the work for you,rotating around. To make the salad I used the Oxo Good Grips Hand Held Julienne Slicer, since it slices everything perfectly , evenly and oh so quickly! 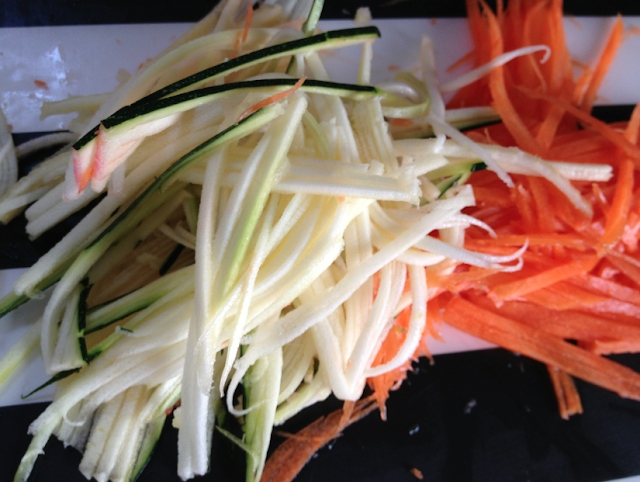 Slice courgettes, carrots, and spring onions, sprinkle the courgettes with alittle salt to soften them, leave for 5 minutes then rinse. 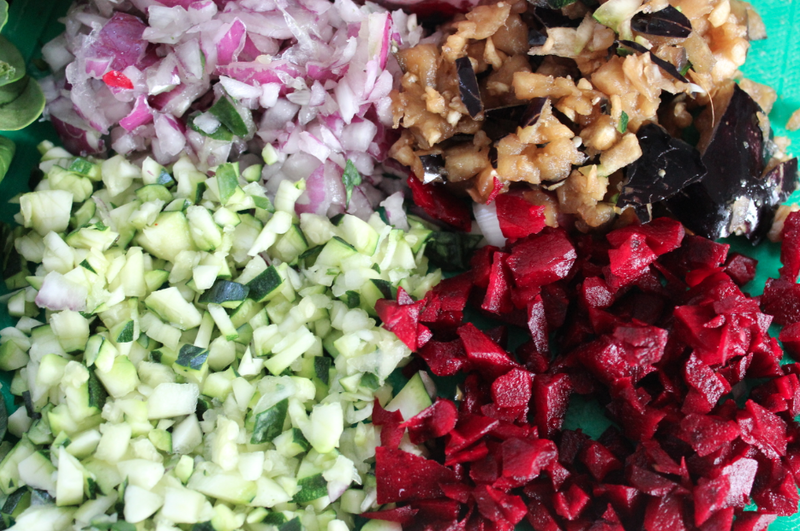 Mix the sliced veg with spinach, sunflower seeds, pumpkin seeds with the chopped beetroot, courgettes and onions. Heat a non stick pan with some coconut oil inside, place a ring inside the pan so that the pancake mix doesn't run everywhere - if you don't have one don't worry, it will still cook perfectly. Spoon 3-4 tablespoons of the pancake mix into the ring, and wait until it's bubbling all over, then after a few minutes flip over, repeat until all the mixture is used. When all the pancakes are cooked, quickly fry the remaining aubergine, and mix into the salad.Serve with hot potato wedges and with limes. 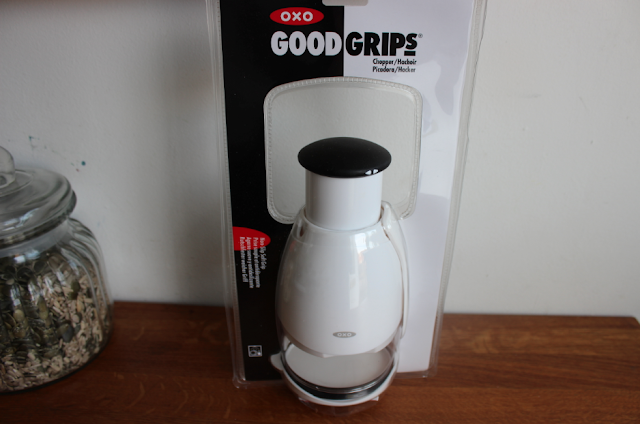 Disclaimer: All opinions are my own, I was supplied the Oxo Good Grips products so I could show you how to prepare fast, healthy, vegan meals. Pauly LOVES coffee. Fact. But he also loves leaving them dotted around the house on shelves, bookcases etc as he goes about his day as a Stay-At-Home-Dad with our boys. 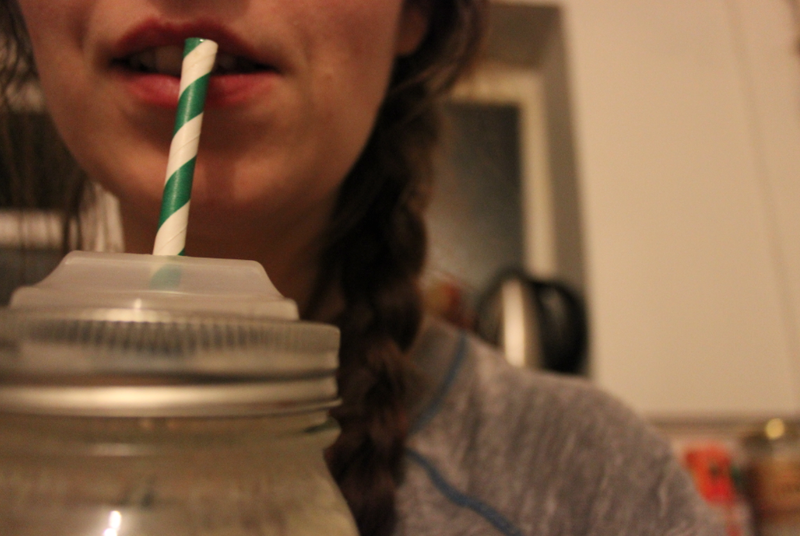 So I gave him the task of reviewing the eco-friendly, glass... (did I mention I love glass kitchenware?) 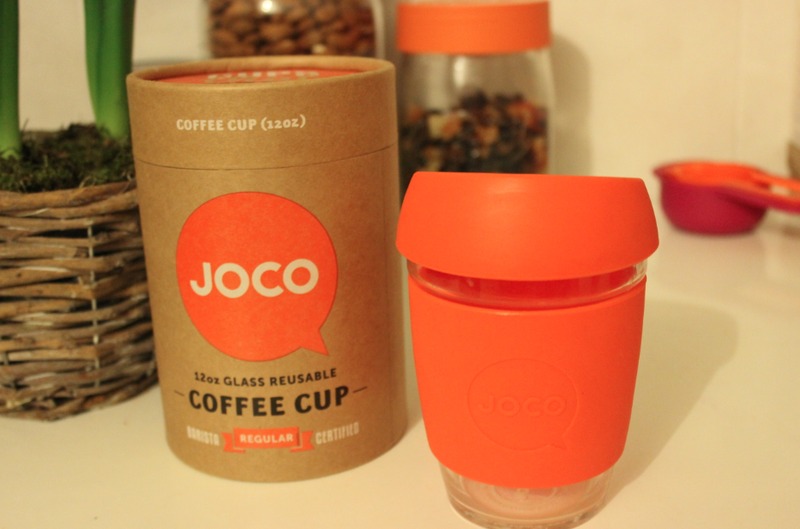 reusable JOCO cup over the last week.
" I was really shocked at how hot it keeps your drinks first off. Normally my drinks at luke warm when I remember to have them- now they're piping hot. It's super easy to clean, which is a bonus as those metal flasks that end up grimey after a while. I also LOVE that it fits in the cars cup holder perfectly while I'm on the go. I found the fact that it has the rubber band around the centre particularly good when I'm working outside, when it's as cold as -3'c , like it was yesterday I have a tendancy to drop cups that don't have handles. I also loved that it wasn't a messy cup- I'm a fairly furry fellow! " 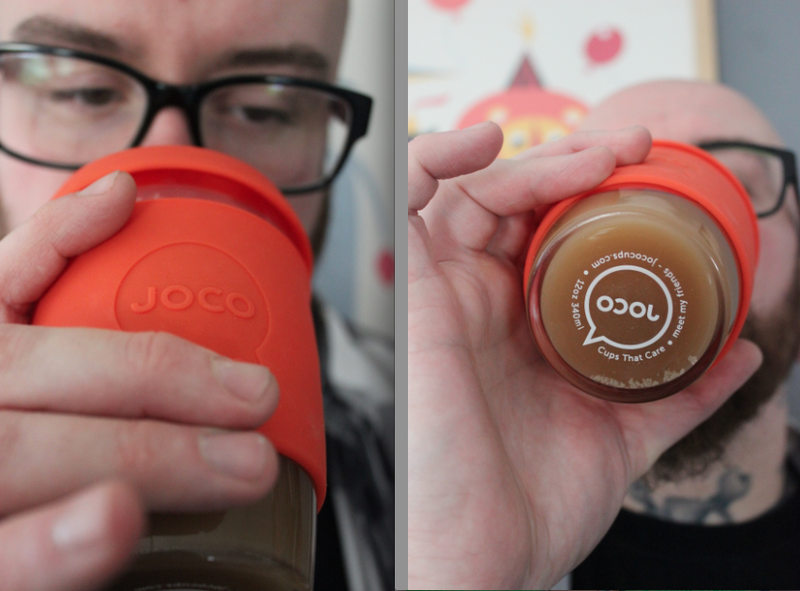 The JOCO cup is generous, 12oz's - so it'll keep you going on the way to work, or on a cold winters morning, like today! 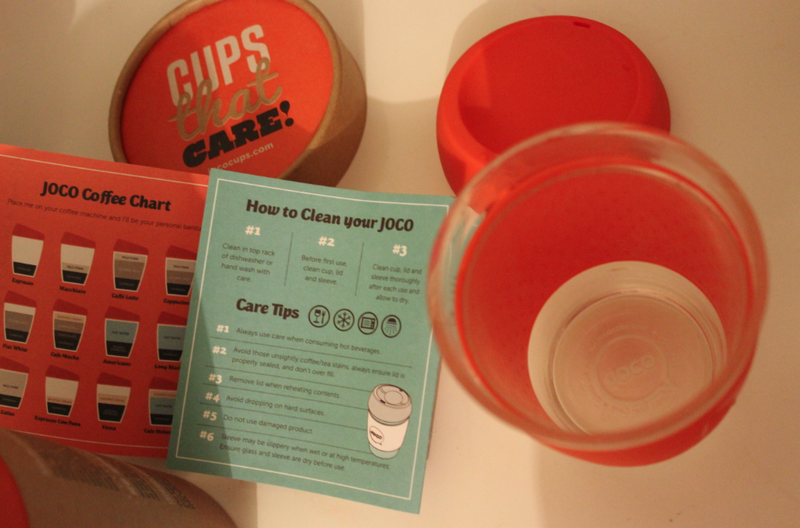 Did I also mention that JOCO cup is also microwave, dishwasher, and freezer safe? 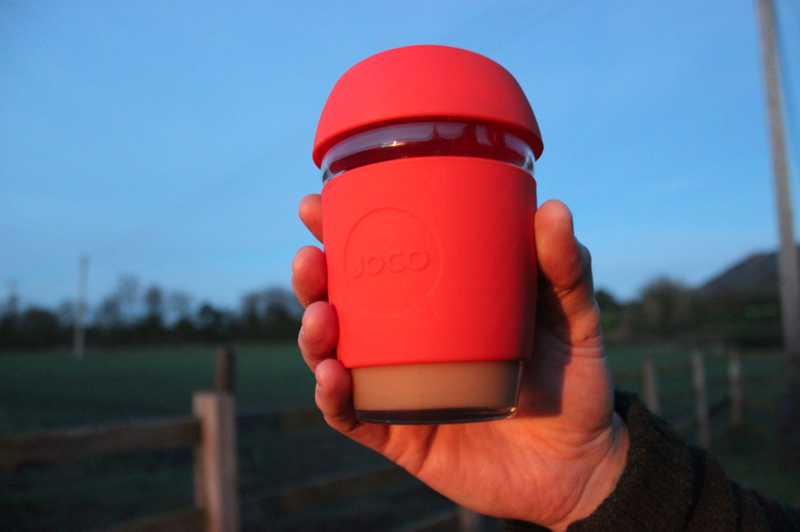 It fits perfectly in every coffee shop barista coffee machine too, re-use JOCO cup you're helping reduce landfill by not purchasing disposable coffee cups. I love that it's glass, it's not going to give anything off like some nasty plastic cups. . . . . . . It's the coffee cup that cares! 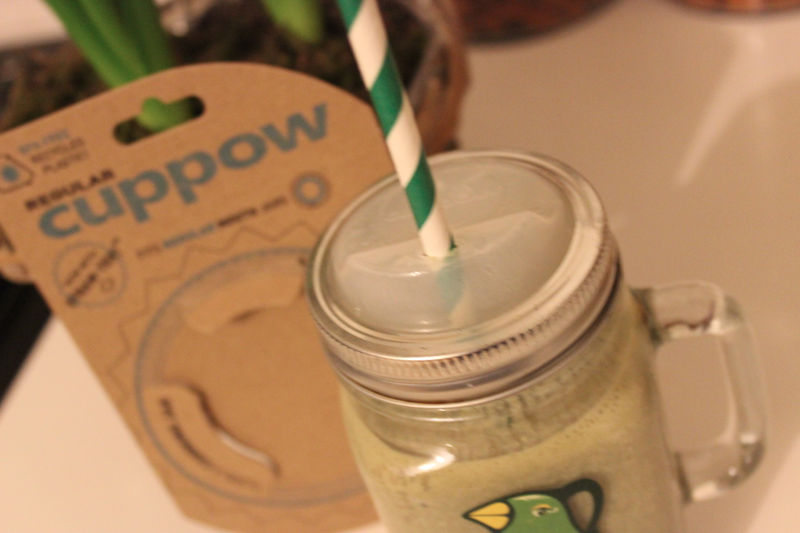 "Cuppow is an American company that grew out of a need to develop everyday products that would help decrease peoples eco-footprint. 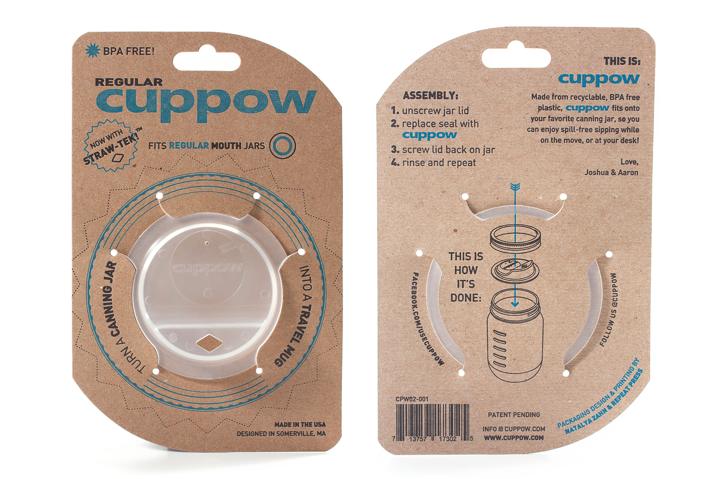 The flagship Cuppow product, the original drinking lid adaptor for canning or mason jars, allows people to up-cycle an everyday item into an eco-friendly travel mug." - Clever hey!? 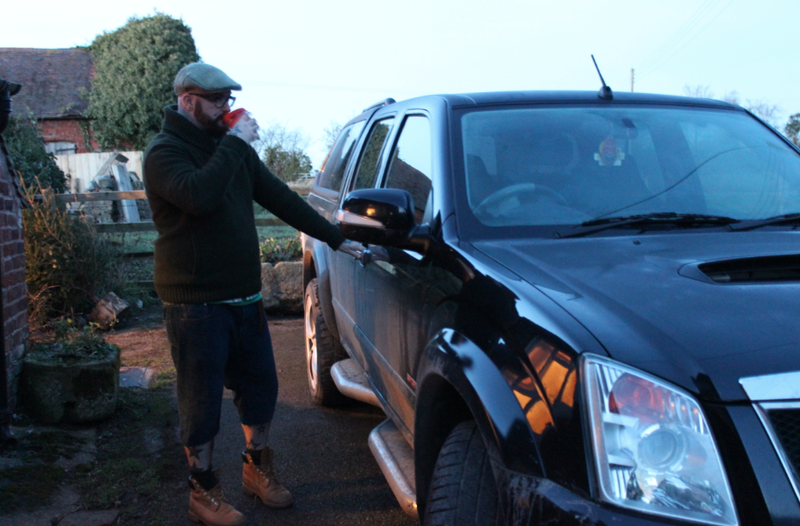 I thought I'd give it a test run yesterday ( with some helpers) , and I was not disappointed, it's a really clever little thing, and I can see myself buying a few of them for the boys, since I find that its difficult for the boys especially being small to drink out of a wide glass jar. I also really love the fact that you don't have to take the middle part of the lid off everytime you want a sip whilst out and about! Why didn't someone invent one of these sooner?! They're really clever. They come in two sizes, regular ( which is the one I received ) which fits all my jars, or a wide neck one. They also do a Bento style attachment gadget, which I'll get into in a little while. When I saw them on the Uberstar website, I thought the Cuppow would be a soft flexible silicone, but to my suprise, it's a hard plastic ( The products utilise BPA and phthalate free food-grade recycled plastic) which I think is better really as there's less chance of it leaking everywhere as it's completely solid when traveling and rushing around, like I do. 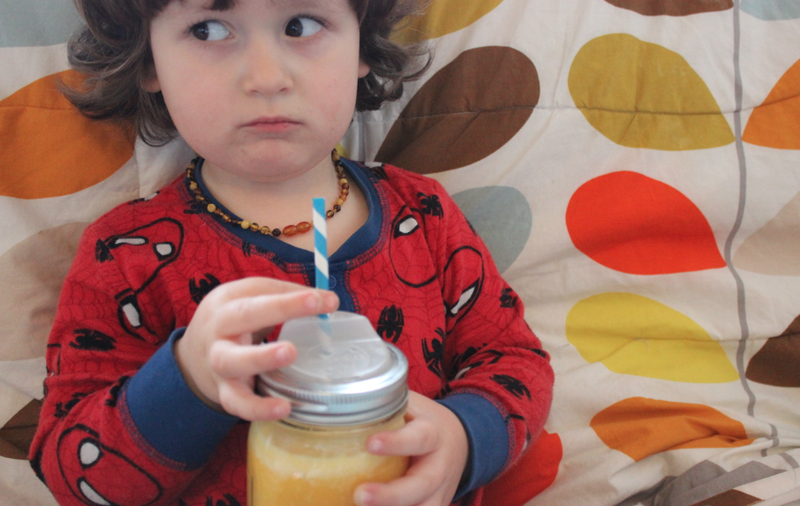 The thing I also love about them is that you can use them with a straw, which again is a massive bonus if you have little ones! I just wanted to let you know alittle about a resource you could be (quite literally tapping into ) Netflix has a huge amount of health related documentaries on demand at the moment. If you wanted to sit and learn alittle while relaxing, Netflix has funny yet informative TV documentaries that have made me think alot this week. 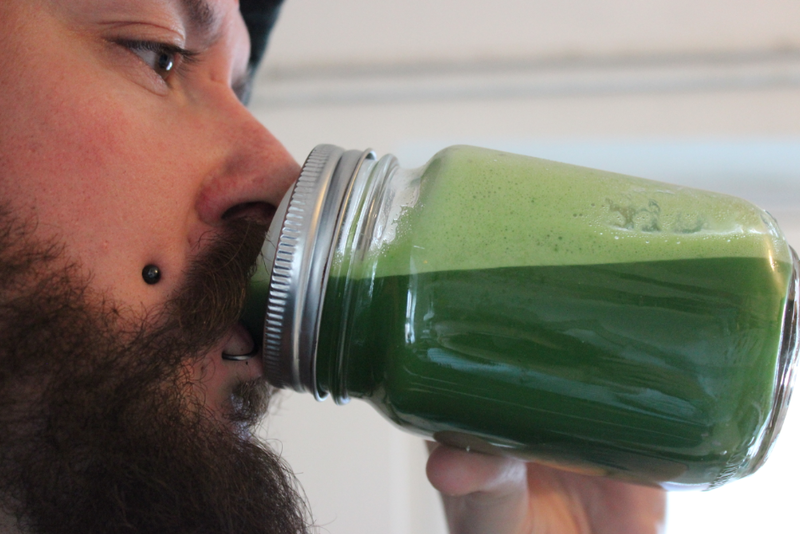 I've seen Fat, Sick and Nearly dead many times before, it was one of the things that kick started my love of publicizing juicing... especially at work! I didn't think that anyone would be interested in juicing this time last year, but surprisingly lots of people know about this, and do juice! It's a simple documentary about an Aussie guy who decides he's going to go on a 60 day juice fast, whilst travelling across America. It documents how he does, the people he meets, with an interesting twist! Deffo worth a watch! Enjoy that gem! 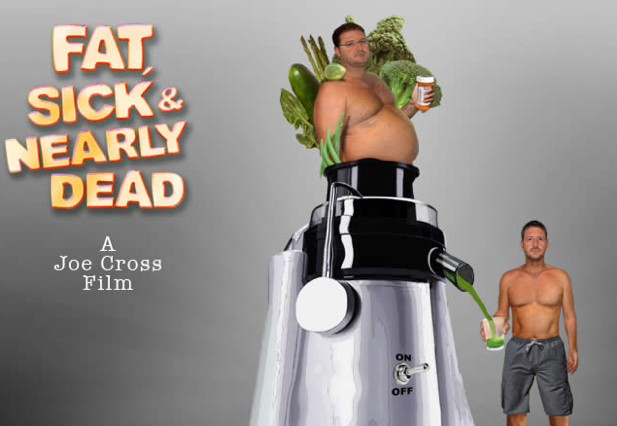 A documentary mainly focusing what is in our food, and the health aspect of diet. "Let Thy Food Be Thy Medicine, And Thy Medicine Be Thy Food." - Hippocrates That is the message from the founding father of modern medicine echoed throughout this documentary film. 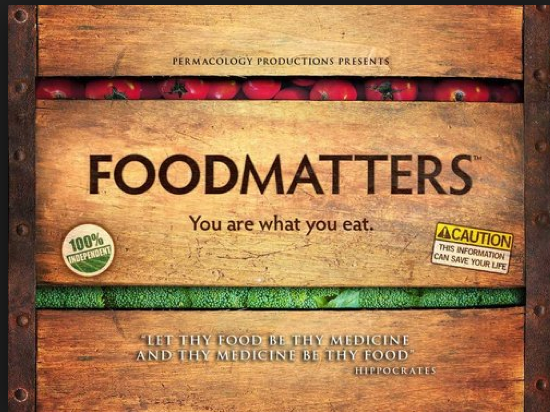 'Food Matters' I found is quite hard to watch- , as it is brutally honest and makes me want to shake people up who are damaging their health by food..... it features raw food chefs, doctors, dentists and many other people who talk about 'ground breaking' healing with the use of food. 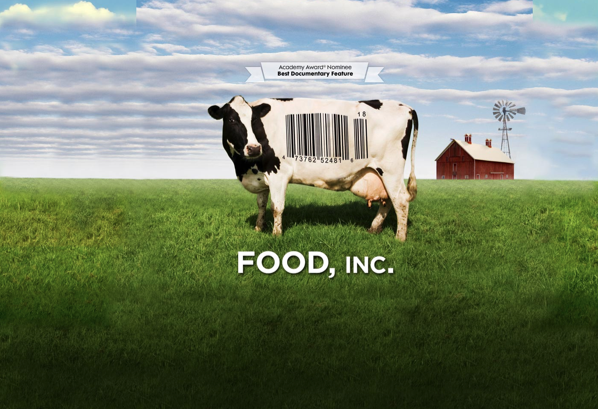 Food Inc is .... well, I have no words. It is about the way ALL food is grown, not just meat as the poster below depicts. Wheat, Soy, Corn, Milk, Meat, Vegetables, within Farms, GMO, industrial farming. It is shocking- the parts where they show inside the slaughter houses, egg farms, and breeding farms, it made me feel sick to my stomach. Having heard many many stories about slaughter houses growing up from around the age of 4 or 5 ( my grandfather worked in a slaughter house when my Mom was a little girl right up until I was around 2 or 3. ) I was pretty sure I knew how awful they were, until I saw the hidden camera footage within this documentary. I couldn't watch most of it, granted... but the noises were bad enough. The other things that shocked me were the parts about Corn and Soy.... worth a watch if you're vegan or non vegan! 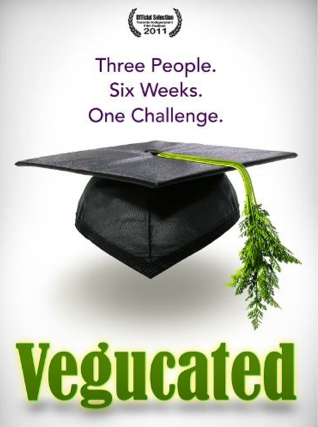 Vegucated. 3 People. 6 Weeks. No Animal products. At first when I started watching it, I disliked this documentary film immensely as the presenter Marisa was passionate, but promoting all this junk vegan food to the people trying to be vegan, Oreo's icecream, candy, crisps etc in the supermarkets and Deli's. But... I continued to watch and after 30 minutes, it became such a sweet, thoughtful piece of film. I loved watching the addicted-to-meat Brian change the way he thought about meat. The other two ladies on Vegucated were also so sweet, Tesla and Ellen - I could relate to hugely! When I started on my vegan path, I also found it so hard to give up Dairy, but there's so many benefits to it , not to mention how the cows can be treated! Interesting Info: Since watching the above films with me, Pauly my fiancee has given up meat and dairy. He's still having the odd egg, but I'm sure he will soon come around to not eating those too. 3/4 of the way to becoming vegan and super healthy - I never thought I'd see this day since Pauly is THE biggest was such a huge fan. I'm so pleased for his health he's decided to rethink the way he eats.... SO, I think that Netflix is amazing right now... worth checking out! I know if you're not vegan, or used to eating clean, you'll be looking at this photo thinking, " How do you make meals from that, it's just fruit and veg?!" Well, trust me, you can create some really healthy meals with these little guys, some amazing snacks, aswell as desserts... and I am going to show you how! I also bought gluten free pasta, bread, frozen fruit, and CO-YO yoghurt. I thought that I'd share with you a few of the new products I've stumbled accross this week that I am excited to try! They're all healthy options too, I'm always being asked if I have found anything new while shopping, and the answer is this week is YES! I bought some pre-made kale, apple and celery juices by a new brand called Vegesentials for the days where Pauly and I are super busy and don't have time to get to the juicer ( that sounds sad, but it is often true as some mornings can be alittle crazy! ) I tried one when I brought the shopping into the kitchen, Pauly and I both agreed they were divine! I've been reading lots of raw recipe books lately, which call for Young Thai Coconuts, so I have some for this week, but I also LOVE drinking Coconut water and milk. The COCO face I love the 'packaging' on the coconut - very cute! I had one of these while out and about at a vegan food festival a while ago and fell in love with them! When I saw them online I decided to go ahead and order some, I'm not quite sure how to get into them though??! While on the Coconut front, I bought some VitaCoCo drinks to take to work, I've been feeling really dehydrated and lethargic lately, so the more coconut-ty things I can get into me the better, I find they are a superfood for me! A few cupboard items I decided to pick up this week are just regular things, they didn't have the Mrs Crimble stuffing I raved about, but they had the Hale and Hearty version, so I'll let you know how that is. I finally (!!!) managed to find some potato starch for my gluten free baking, and a selection of different organic pulses, I bought a ton of them as they were £1.09 a bag, I also bought some of my favorite Doves Farm Pasta. So stay tuned for meal ideas, thrifty cooking plans and toddler meals - I find Opeie a challenge sometimes since he isn't ready to eat some of the more grown up foods we have, especially the raw. So, it's Saturday night. It's been a long week, with New Years Eve, a poorly Seth whom has had tonsillitis and a fever for days, ( thankfully it's passed now, and he's getting better ) and work. Now it's the weekend and I'm still super busy. It's 10pm and I haven't eaten since lunch ( which was late, as I got carried away going through the boys clothes that they've outgrown to take to the thrift charity shop !) then we headed out and had so much fun on my sisters farm, got back and I flooded the kitchen. FUN! So, as you can imagine, I'm not in the mood for cooking, which is RARE for me, as I would live in the kitchen. So, this post is going to be about my go to product. Yes, You guessed it..... Vega One. 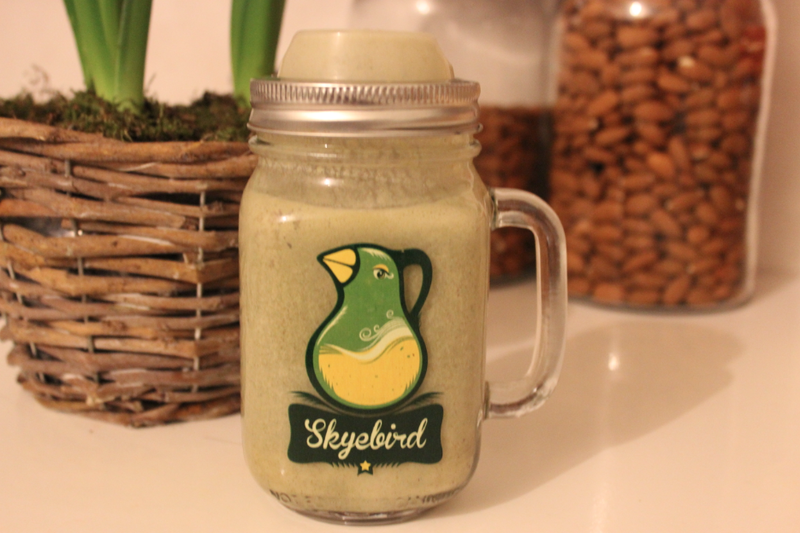 So, it's pretty lovely to be able to go and grab a quick product that is super healthy, raw and packed full of goodness. Pauly isn't a fan of Vega - he's more of a Sunwarrior fan as he mixes his with lots of frozen fruit and almond milk, but I love Vega so much that I just have it with water or Koko coconut milk. I have tried them all over the last 2 years, and my favorite flavour is Vanilla Chai, it has a fresh 'green' taste to it, which is kind of refreshing yet warming in an odd way?! You get 22 scoops per tub, and it averages at around £50-55 a tub depending where you buy it. Yes, it is pricey, but you get what you pay for! I know what you must be thinking, that's £2.50-3 per scoop but Pauly and I don't drink, smoke, have TV, spend loads of money on clothes or other materialistic things. We prefer to spend our money on nourishing our bodies, which obviously includes Seth and Opeie. So I'm fine with buying protein powder, after all a pint of beer , or glass of wine in a pub is alot more. I can't imagine not having Vega One, it's utterly divine and I'm so pleased we're now able to get it in the UK.